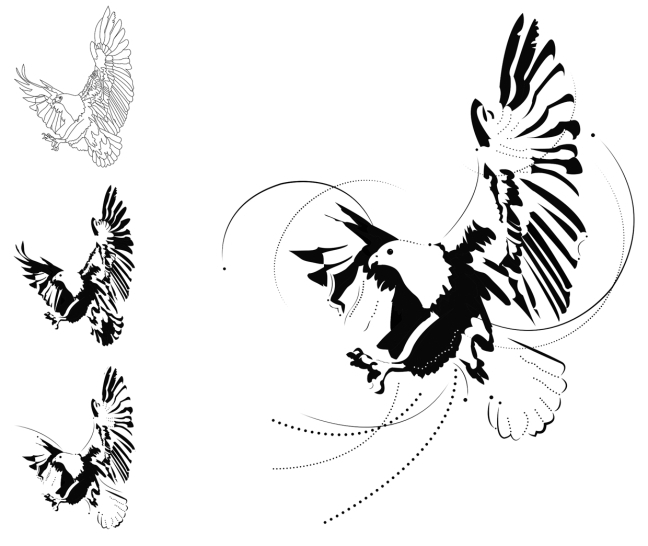 A Graphic Translation of an Eagle. I moved from one stage to the next, each getting more complex. I began with a full silhouette of the eagle, and added lines and shapes until I reached a phase that conveyed movement and action. Using closure, dot, lines and shapes.